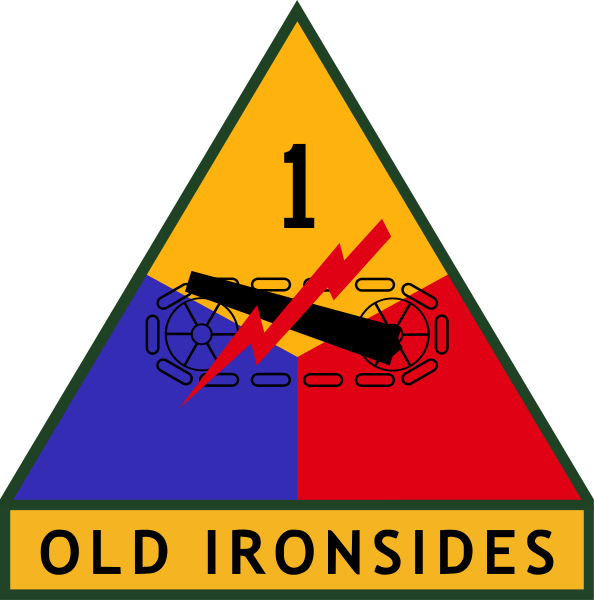 The 1st Armored Division arrived in West Germany in 1971 taking over for the 4th Armored Division. Division headquarters was located in Ansbach with Brigade elements stationed in the neighboring Bavarian towns of Bamberg, Illesheim, Fürth, Katterbach, Crailsheim, Erlangen and Zirndorf. The 1st Infantry Division was one of the initial American combat units to penetrate the German Siegfried Line during the Second World War and enter Germany. It performed occupation duties in Germany following the War and was redeployed to Fort Riley, Kansas in 1955. Detachments of the 1st Infantry Division would return to Germany in 1962 & 1963 this time in West Berlin to augment the Berlin Brigade during the East Germans construction of the Berlin Wall. 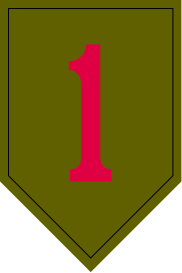 Although the Division was headquartered out of Fort Riley, Kansas a brigade of the Division was forward deployed to West Germany. With detachments assigned to the German towns of Göppingen, Böblingen and Neu Ulm. The 2nd Armored Cavalry Regiment was another unit to penetrate deep inside Germany during the Second World War driving into Czechoslovakia. The unit was redesignated the 2nd Constabulary Regiment at the end of the War and given occupational duties. In 1948, it would be redesignated as the 2nd Armored Cavalry Regiment. With the rise of the Iron Curtain, the 2nd Armored Cavalry Regiment would be assigned the task of border surveillance and reconnaissance. It would serve as a trip wire for the long anticipated invasion of Western Europe by the Warsaw Pact. Regimental headquarters was Merrell Barracks in Nuremberg, with detachments assigned to smaller base camps located near the German towns of Hof, Weiden, Feucht, Bamberg, Bindlach and Regen. Following its role in the defeat of Nazi Germany, the 2nd Armored Division would be forward deployed in the British sector of West Germany as a part of NATO's Northern Army Group. 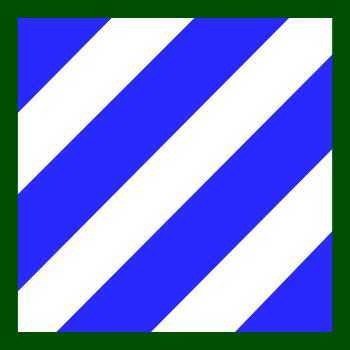 The units primary mission during the Cold War was to secure airfields and staging areas for the deployment of the III Corps from the United States. It's secondary role was to push directly to the Inner German Border Zone and while serving under a greater NATO umbrella provide a blocking force against approaching Warsaw Pact armies. It would be based out of Garlstedt, north of the city of Bremen. It was a premier unit of the REFORGER (Return of Forces to Germany) and every year the units would deploy to the Bavarian towns of Grafenwöhr and Hohenfels, American training areas for annual crew and unit gunnery and maneuver qualifications. 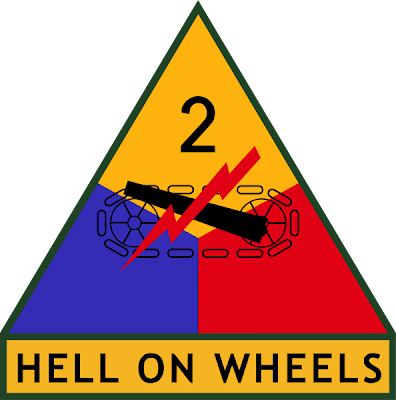 The 2nd Armored Division would be deactivated after the Cold War being made inactive in 1995. The 3rd Armored Divsion had a storied history in its role of defeating Germany during World War II, however it was deactivated in 1945. It would be reactivated in 1947, being deployed from Fort Knox, Kentucky to West Germany in 1956. The 3rd Armored Division's primary mission during this period was, in the event of war, to defend the Fulda Gap against numerically superior Warsaw Pact forces alongside other NATO elements. It would swell it's ranks to the largest it had ever seen in 1962 and was placed on high alert during the Cuban Missile Crisis. At the height of the Cold War and tensions between East/West in the 1980s, the Division was prepared to face off with as many as nineteen Soviet and East German divisions. Division headquarters was located in Frankfurt, Germany with subordinate units located in Giessen, Kirch-Goens, Butzbach, Gelnhausen, Friedberg and Usingen-Kransburg. With the reunification of Germany and collapse of the Soviet Union, the Division would serve in the Persian Gulf War before being deactivated in October of 1992. The 3rd Infantry Division held the distinction of being one of few American combat units to face Axis forces on all fronts of the Second World War. It would suffer more combat deaths than any other American division. On 15 March 1944 the Division struck against Siegfried Line positions south of Zweibrücken. The Division advanced through the defenses and crossed the Rhine on 26 March 1945; then drove on to take Nuremberg in a fierce battle, capturing the city in block-by-block fighting around 17–20 April. The 3rd ID pushed on to take Augsburg and Munich by 27–30 April, and was in the vicinity of Salzburg when the war in Europe ended. Detachments of the unit would also hold the distinction of capturing Hitler's mountain top retreat at Berchtesgarten. 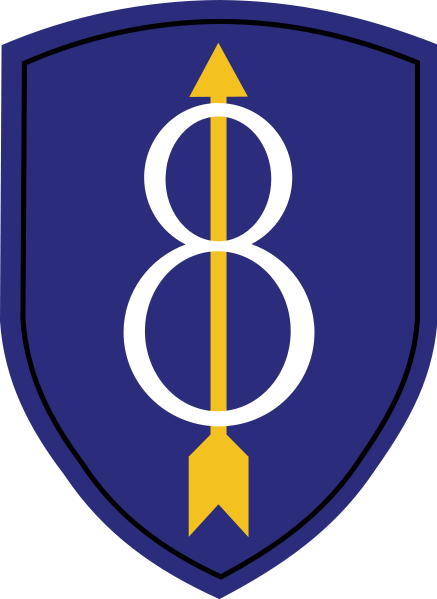 From April 1958, the unit would be assigned to VII Corps in West Germany near the Czechoslovak border westward throughout various towns with it's headquarters located in Wūrzburg. Subordinate units would be located in Schweinfurt, Kitzingen, and Aschaffenburg. In August 1961, a few days after the Berlin Wall was erected, a elements of the 3rd Infantry Division in full battle gear were ordered to travel along the Autobahn from Aschaffenburg in Bavaria to West Berlin. This was a decisive show of force to assert the right of US forces to travel unhindered from West Germany across the western part of East Germany to West Berlin. 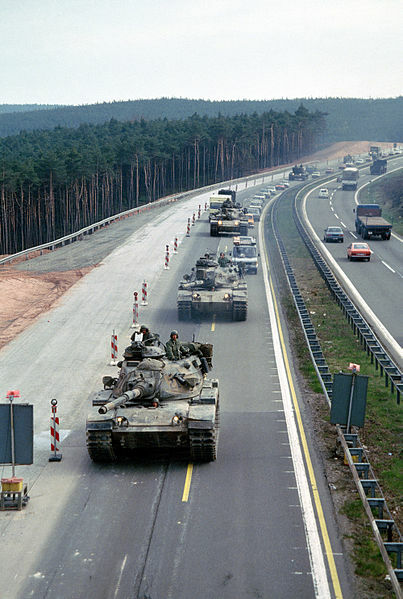 After the Berlin Wall was built, it was not known if the East German forces would attempt to impede or restrict the movement of US troops when crossing East Germany while trying to reach West Berlin. The unit arrived in West Berlin without incident confirming the right of free passage. 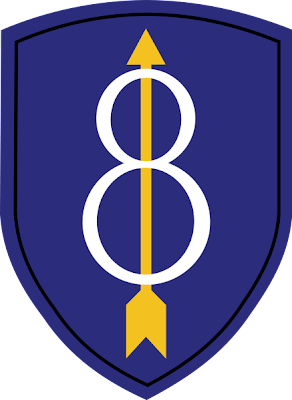 The 8th Infantry Division fought throughout World War II entering northern Germany and alongside the 82nd Airborne Division liberated the concentration camp of Neuengamme. 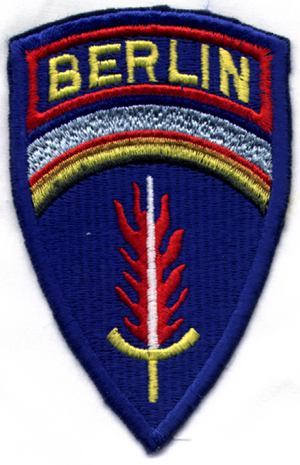 Holding the unique distinction of being the Army's only four brigade division at the time, it would establish it's Division headquarters in Bad Kreuznach in 1957. Subordinate units would be located in the nearby towns of Mainz, Baumholder, Stuttgart, Mannheim and Wiesbaden. 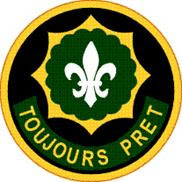 The unit would deploy from Germany to Saudi Arabia as part of Operation Desert Shield/Desert Storm and deploy to southern Turkey in the spring of 1991 as part of Operation Provide Comfort. 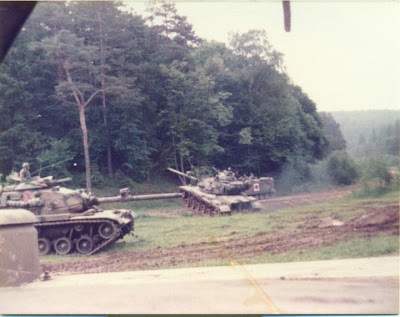 With the end of the Cold War and the fall of the Iron Curtain, the unit would be deactivated at it's headquarters of Bad Kreuznach in January of 1992. Following service in World War II, the unit would be redesignated as the 11th Constabulary Regiment in 1946 performing occupational duties in southern Germany. 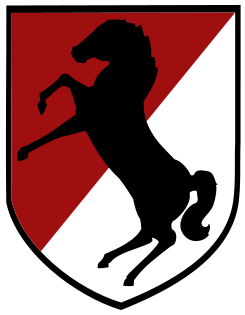 It would be returned to status as the 11th Armored Cavalry Regiment in 1948 shortly before being deactivated.It would be reactivated in 1951 and then redeployed to West Germany in 1956 relieving the 6th Armored Cavalry Regiment assuming the mission of border surveillance and reconnaissance along the Fulda Gap. It's regimental headquarters was Bad Herzfeld with subordinate units located in Fulda and Bad Kissingen. 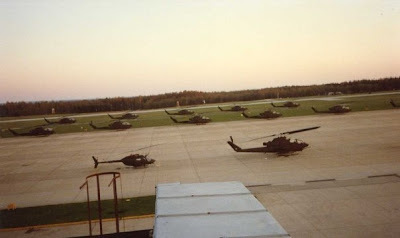 It was notable for operating the first Army Air Assault School in Europe and with the fall of the Iron Curtain, the unit would deploy to Turkey as part of Operation Provide Comfort as well as Kuwait for Operation Positive Force assisting Kuwait in rebuilding following the Persian Gulf War. 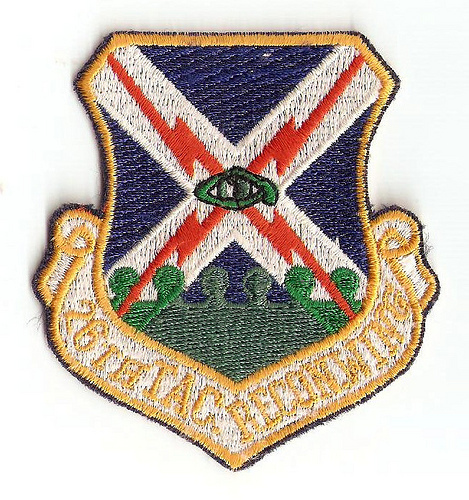 The unit would redeploy to Fulda, before being deactivated in 1994. The Berlin Brigade was an independent brigade sized unit stationed within West Berlin throughout the Cold War. 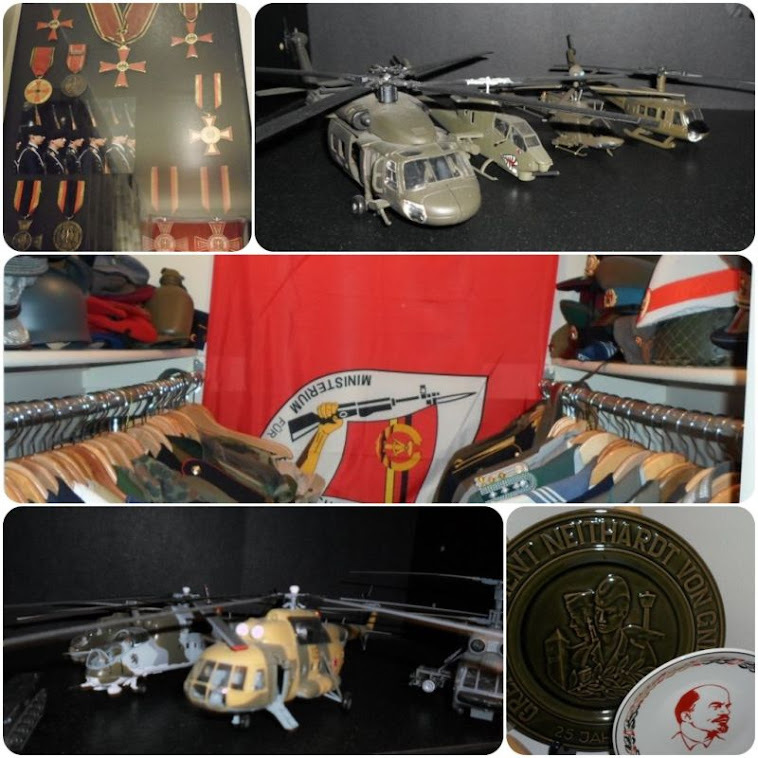 It was established from existing units already in the city in 1961 to confront the Berlin Wall situation. From it's initial formation through to the end of the Cold War, members of the Brigade were eligible for the U.S. Army's Army of Occupation Medal with Germany clasp. This was due to the legal status of West Berlin. West Berlin technically remained an "occupied" territory left over from the Second World War. Parts of the Brigade would deploy to Saudi Arabia for the Persian Gulf War, as well as Turkey for Operation Provide Comfort. With the fall of the Iron Curtain, the unit remained in Berlin. It would deploy as a member of the United Nations Protectionary Forces (UNPROFOR) deployed to Macedonia in July 1993 as part of Task Force Able Sentry. Members of the Berlin Brigade also deployed in July 1994, to Entebbe, Uganda as part of Joint Task Force Support Hope to help prevent a humanitarian crisis resulting from large-scale refugee movements caused by the civil war in Rwanda. With treaties signed in 1994 requiring all non-German military forces to leave Berlin, therefore reunifying the city; the Brigade was disbanded by President Bill Clinton. The Rhein-Main complex had an extensive history before the arrival of American forces. Count Graf von Zeppelin used it as a landing field for his dirigible airships in the early 1900s, and it was opened as a commercial airport in 1936. It would serve as home to the airships Graf Zeppelin and also the ill-fated Hindenberg. Under the Nazis the airship hangars were destroyed and the airfield turned into a fighter base and an experimental station for jet aircraft. 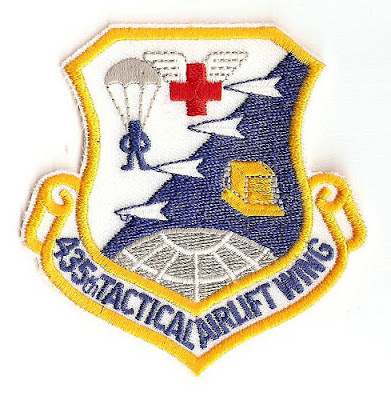 The 435th Tactical Airlift Wing arrived at Rhein-Main from RAF High Wycombe, England in response to closures of U.S. Air Force installations in France in 1966. It was originally envisioned as a bomber base, the U.S. Air Force came into an agreement with the German government that only transport aircraft would operate from the base. Three squadrons would operate from Rhein-Main, two tactical airlift squadrons and one aeromedical airlift squadron. Aircraft from Rhein-Main would support operations in Europe, the Middle East and Africa. The freed hostages of the Iranian crisis of 1980 were brought to Rhein Main and it also was a major staging area for moving equipment to the Persian Gulf during the Gulf War. The Wing would also support Operation Provide Comfort in southern Turkey and Operation Provide Promise in Bosnia-Herzegovina. Ironically after the collapse of the Iron Curtain, the Wing would participate in Operation Provide Hope, delivering tons of emergency food, medicine, and medical supplies to all twelve new independent states of the former Soviet Union, including Russia. 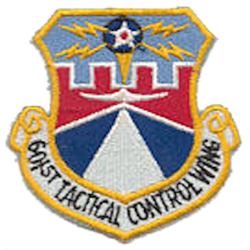 The Wing would be deactivated in 1995. Rhein Main itself would remain open until 2005, when it was closed and turned over to the German government. The Sembach Air Base originally began as a French airfield during the occupation of Germany following the First World War. After the French withdrawal in 1930, it was turned into a pasture for local farmers. In 1939, it was turned into a fighter base by the German Luftwaffe but due to the swiftness of the campaign against France, it was again turned into a pasture for farmers in 1940. During the Cold War, the U.S. Air Force operated the base principally as a reconnaissance station. It would also serve as home to the U.S. 17th Air Force headquarters upon its arrival in 1972. Under the Wing, fighter units and helicopters were brought in to reenforce the Wing and it would support a number of operations including Operation Desert Storm and Operation Provide Comfort. In 1993, detachments of the 601st were deployed to Italy to participate in Operation Deny Flight enforcing the United Nations sponsored No Fly Zone over Bosnia-Herzegovina. The Wing would be disbanded in 1993. The Airfield was turned over to the German government in 1995 and the base was renamed the Sembach Annex which was turned over to the U.S. Army and renamed the Sembach Kaserne in 2010. Hahn Air Base was established in 1951 by French forces. It was taken over by U.S. Forces in 1952 who embarked in a task to refurbish and upgrade the base facilities. 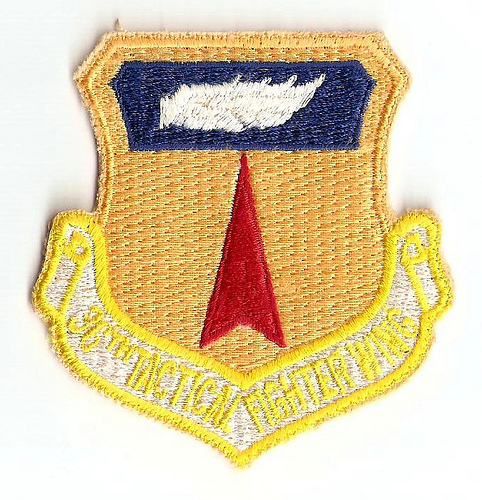 Originally the 50th Fighter Bomber Wing, the unit was stationed at Toul-Rosières Air Base in France in 1953. It was redeployed to Hahn Air Base in 1959, and designated a Tactical Fighter Wing. The unit would host various squadrons relocated from Spain during the Cuban Missile Crisis. By 1970, the Wing adopted a strike role with air defense as its secondary role. Hahn was the smallest of the bases in Germany. Units of the 50th would deploy to Al Dhafra Air Base, United Arab Emirates in support of Operation Desert Shield/Desert Storm. 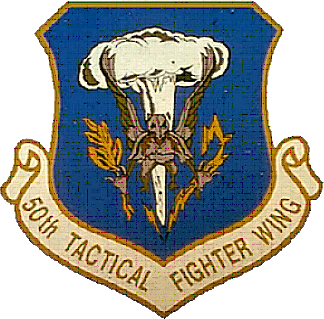 The 50th Tactical Fighter Wing was disbanded in 1991, after the end of the Cold War. It was turned over to the German government in 1993 and turned into a civil airport, the Frankfurt-Hahn Airport. The Bitburg area was originally a Wehrmacht tank staging and supply area for German forces during the Battle of the Bulge in 1944. The air base was constructed by the French Army in 1951, under contract from the United States. Buzz Aldrin, the second man in space and President Ronald Reagan both served at Bitburg during the 1950s. The 36th TFW went through numerous upgrades throughout the Cold War, but it remained primarily a air defense oriented site. With the introduction of new Soviet designed MiG and Sukhoi fighters, the U.S. Air Force was quick to acquire improved fighters. In 1977, Project Ready Eagle brought the McDonnell-Douglas F-15A Eagle to the 36th TFW. During the Persian Gulf War, fighters from Bitburg were deployed to Al-Kharj Air Base Saudi Arabia and Incirlik Air Base Turkey. Fighters from the Wing were credited with 11 aerial victories over Iraqi fighters during the conflict. The 36th was deactivated in 1994. Bitburg was in the process of being turned over to the German government in 2006. The Ramstein-Landstuhl installation was constructed in 1952 through international cooperation. It was designed by the French, built by the Germans along with assistance of workers from other European nations and ran by Americans. It employed nearly 270,000 European workers during its construction. 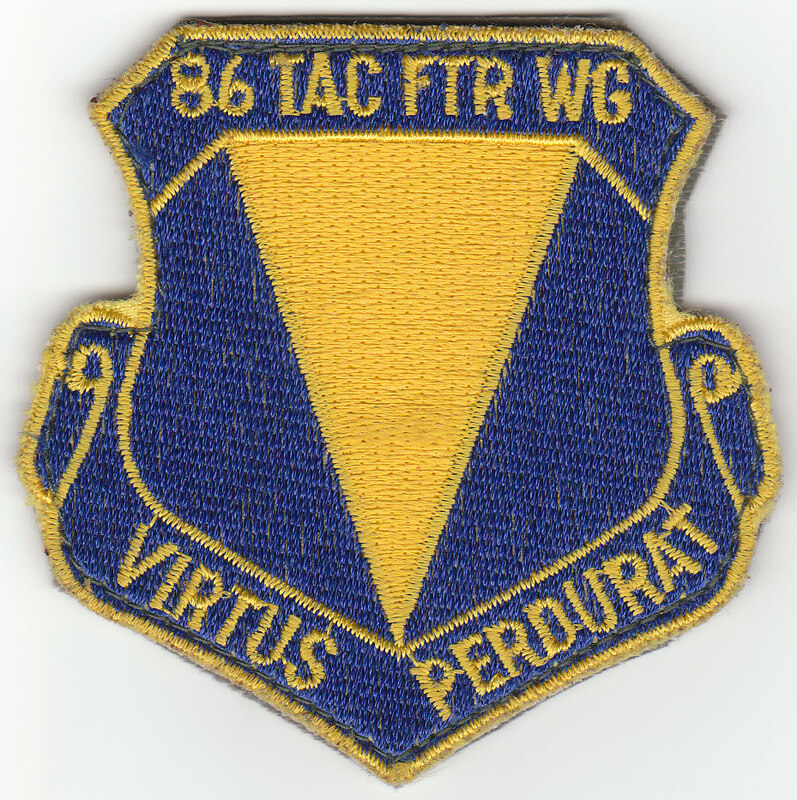 The 86th TFW would serve alongside several other wings at Ramstein with the base serving as home station to not only the fighter wing but also taking up the roles of strategic reconnaissance, tactical reconnaissance and aerial refueling. On 28 August 1988, Ramstein Air Base was the site of the tragic air show disaster at Ramstein, in which 72 spectators and three pilots were killed, and hundreds injured. Ramstein was also home to the United States Air Forces in Europe. It remains open. The Spangdalhem complex was constructed in 1952/1953 by German and French workers in response to NATO agreements that it’s fighter units should be moved west of the Rhine River. The 52nd Tactical Fighter Wing arrived at Spangdahlem from New York in 1971. It assumed two primary missions air defense and electronic warfare. It became home to aircraft carrying out the famous ‘Wild Wiesel’ missions. In 1990, its Wild Wiesels deployed to Sheikh Isa Air Base in Bahrain to support combat operations during Operation Desert Shield/Desert Storm. The 52nd absorbed additional squadrons in 1993 following the closure of RAF Bentwaters in the United Kingdom. This restructuring made it the sole U.S. Air Force operator of the A-10 Thunderbolt II ground attack aircraft in Europe. The 52nd made history following the end of the Cold War with its deployment to a former Warsaw Pact nation, operating out of Powidz AB, Krzesiny AB, and Poznan in Poland in 1997. The unit remains active in Germany. Tempelhof has a much older history than other airbases in Germany. It was a Royal Prussian parade and exercise ground from 1721 and remained a parade ground until 1918. It also served as a demonstration field hosting Orville Wright and the Wright flyer in 1908. It was established as a civilian airport in 1922 and remained as such becoming a major European airport by 1936. It was not used as a military facility during the Second World War except as an emergency facility for crippled fighters. It was seized by the Soviet Army in 1945, and turned over to the United States upon the division of Berlin. The airport was converted into an airbase and would become a host facility for airlift operations supporting the Berlin Airlift. It served as a primary transportation link between West Berlin and West Germany throughout the duration of the Cold War. With the collapse of the Soviet Union and reunification of Germany, the 7350th was disbanded in 1993 With the reunification of Berlin, Allied forces were required to leave the city and all military units stationed at Tempelhof were disbanded and the airfield turned over to the German government. The Wiesbaden facility was originally the site of horse races in 1910 and wasn’t converted for aviation uses until 1929. In 1936, the German Luftwaffe took over the facility turning it into a fighter base. It remained a major fighter base used for intercepting American bomber formations throughout the Second World War until it was captured by the Americans in 1945. It served as a hub supporting round the clock operations to Berlin’s Tempelhof air base during the Berlin Airlift. It would host U-2 spy planes during the late 1950s for over flights of the Soviet Union. 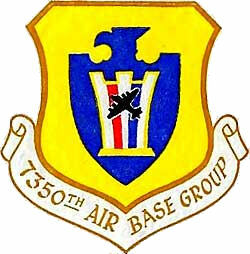 The Air Force began transitioning the facility over to the U.S. Army during the 1970s and maintained a number of units there throughout the 1980s. In the mid-1980s the base facilitated flights of the F-117 Nighthawk. Although not officially acknowledged by the U.S. Air Force until 1988, the F-117 became operational in 1983 and the Wiesbaden airbase would "go dark", turning off all airfield and perimeter lights, whenever "stealth" flights were landing or taking off. Wiesbaden was turned over to the Army in 1993 and renamed Wiesbaden Army Air Field. It is slated to become the home of the United States Army in Europe headquarters. The Zweibrücken complex was constructed in 1950 along a former section of the World War II Siegfried Line. The decaying remains of many of the bunkers of the old line are still visible around the facility. Funded by American forces it was originally a Royal Canadian Air Force base in the early 1950s. The 26th TRW was originally activated in 1956, at the Toul-Rosières Air Base in France. With the withdrawal of France from NATO in 1966, American forces were ordered out of France by 1967 and the Wing was transferred initially to Ramstein and then to Zweibrücken. In 1987, the 26th became the only tactical reconnaissance wing in Europe when the 10th TRW at RAF Alconbury was redesignated the 10th Tactical Fighter Wing and assigned to fly A-10 attack aircraft. This left NATO and US Forces in Europe the services of just one US tactical reconnaissance unit and one squadron of RF-4C Phantoms. 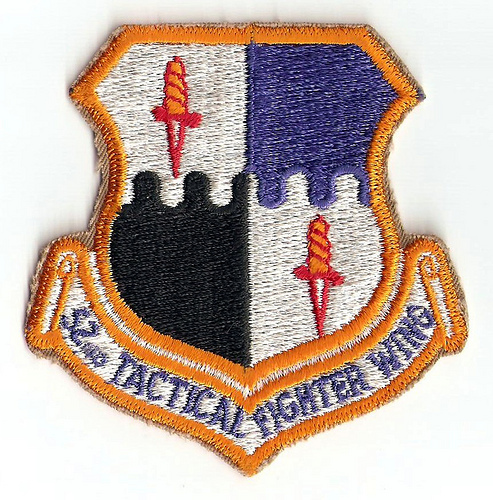 With the end of the Cold War and collapse of the Soviet Union, the 26th TRW was downsized and disbanded in 1991. The facility was turned over to the German government and became Zweibrücken Airport a regional airport. M60 Main Battle Tanks of the U.S. 3rd Armored Division along the autobahn near Sembach Air Base. AH-1 Huey Cobras and OH-58 Kiowa helicopters at Feucht Army Airfield near Nuremberg, West Germany. 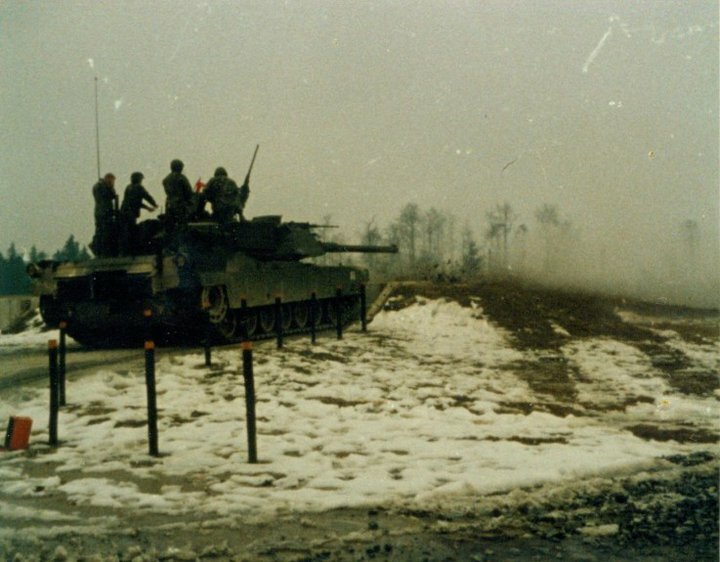 An M1 Abrams main battle tank during gunnery training at the U.S. military's training facility at Grafenwöhr, West Germany. 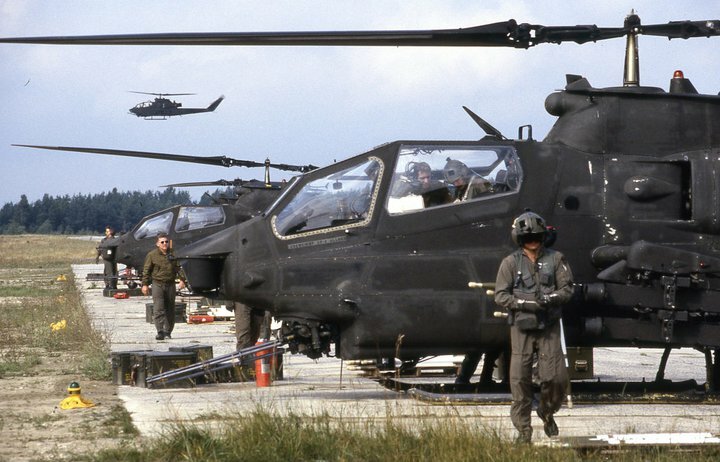 U.S. Army AH-1 Huey Cobras at a Forward Area Refuel/Rearmament Point (FARP) during Aerial Gunnery exercises at Grafenwöhr, West Germany.